Homemade Apple Butter gets me excited for Fall! I live in the midwest so I get to experience all four seasons. Fall is my favorite season. I love the cool crisp air, the hayrides, flannel shirts, and home cooked food. I am sharing a recipe that is sure to make your mouth water and have your family begging for more. 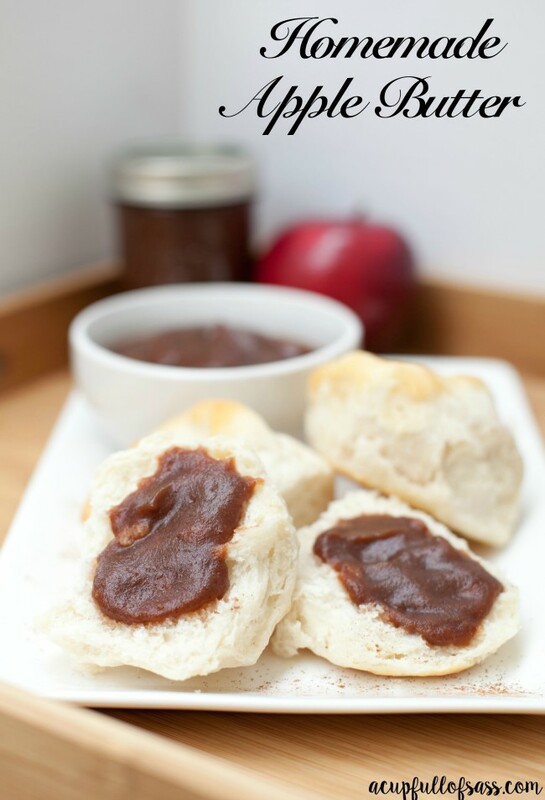 My Easy Homemade Apple Butter recipe is a hit in our home and I am sure it will be in your home too. The thing about this recipe is that there is no apple peeling needed. Yes, you read that correctly. You will leave the apple peel on. Peeling apples is usually why most people don’t even want to bother with making homemade apple butter. But not this recipe. Because the skin is the most nutritional part of the apple, keeping it on is a win-win. 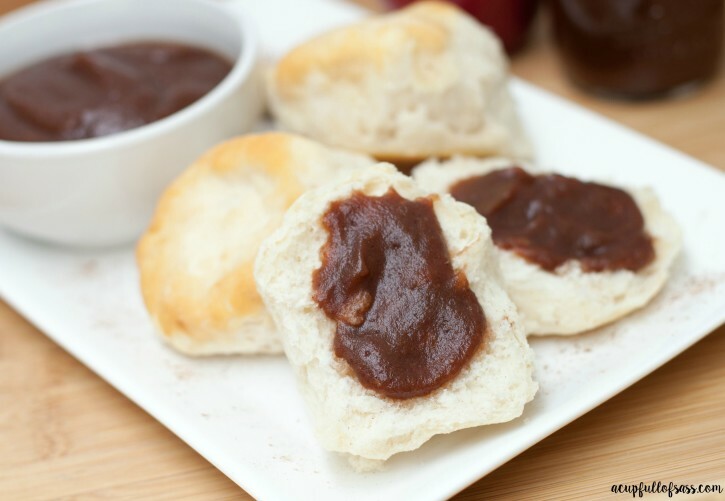 And the apple butter cooks overnight in your crock-pot or slow-cooker. Your entire house will be filled with the smell of apples and cinnamon. YUM! You can also make these as cute gifts for friends and family. This batch of Apple Butter will fill about four half-pint jars. Perfect size for sharing. And trust me this is a gift anyone would love to receive! I have a free printable tag that you can attach to the jar. Click on the Apple Butter Tags below to print. 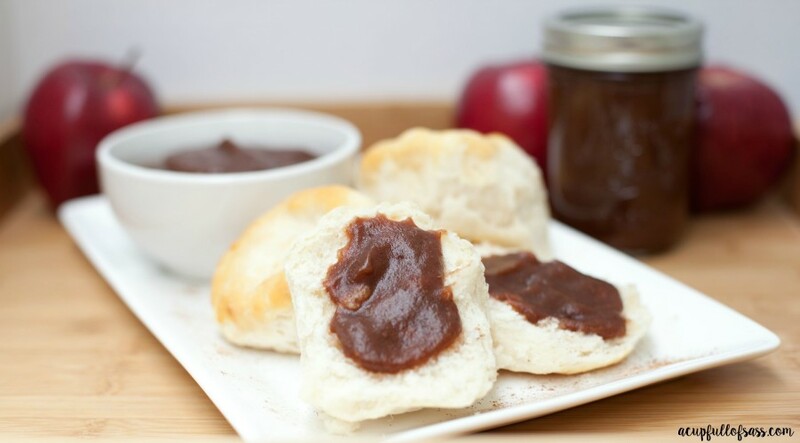 Easy Homemade Apple Butter made in the slow-cooker. Chop apples leaving the skin on and add to slow-cooker. In a medium size bowl add sugar, brown sugar, cinnamon, ground cloves, salt, ground nutmeg, vanilla extract. and mix well. Then add mixture over the chopped apples in the crock-pot. Cover with lid and let cook on low for 10 hours. Then puree apple mixture with an immersion blender or a regular blender until smooth. I used a regular blender for mine. 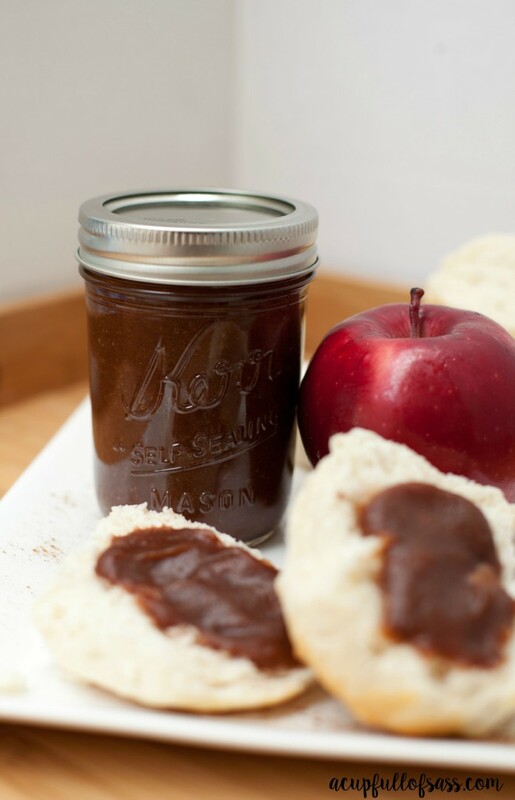 Once the apple butter is smooth and cool, store in a mason jar or an airtight jar and store in the refrigerator. You can even freeze it for two months. Or serve immediately on a roll, biscuit or a slice of toast. Can I use coconut sugar in place of the raw and brown sugar?